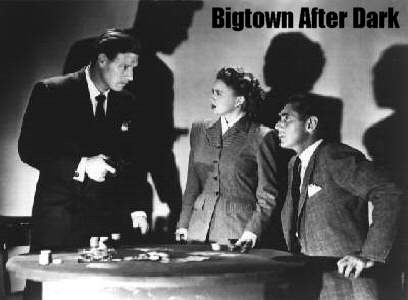 With a title like BIG TOWN AFTER DARK and the lead played by Hillary Brooke,I imagined a hard-hitting crime story probably set in New York and full of gangsters and molls. Well,I can only say this was a minor B and it showed. An acceptable, not great cast and a script which scraped by with a fast pace which kept it moving at least. What I found most interesting was not the film itself, but the history associated with it. The plot concerns a newspaper editor (Philip Reed),his reporter/girlfriend (Hillary Brooke) and a kidnapping which isn’t what it seems. It was interesting to see Hillary in one of her very few leading lady roles . As usual, the actress who played the devious character (Ann Gillis) had the best part. And 20 year old Ann,whom I only know as a child actress in The Adventures of Tom Sawyer, made the most of her role. This was her very last film role. Ann’s history is interesting – she became a Belgian citizen and lived in Belgium from 1972 till 2014. As far as I know, she moved to the UK in December,2014. If it were possible,Ann would make a good guest at a TCM Festival. I didn’t recognise Richard Travis as the chief heavy. ( He was the nice guy whom Bette Davis fell for in The Man Who Came To Dinner.) He did very well as the gambling house owner who sets up a blackmail scheme. 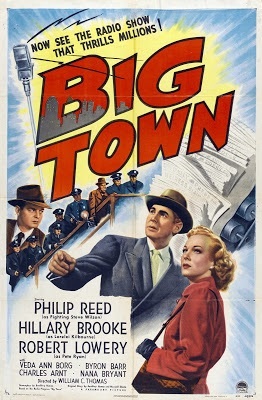 Hillary Brooke and Philip Reed starred in 4 films about Big Town in the late 40s. They were made by the Pine-Thomas production unit and I watched Big Town After Dark at Free-Classic-Movies.com which also has Big Town Scandal (1948) which I’ll watch in the hope Hillary Brooke has a bigger role. 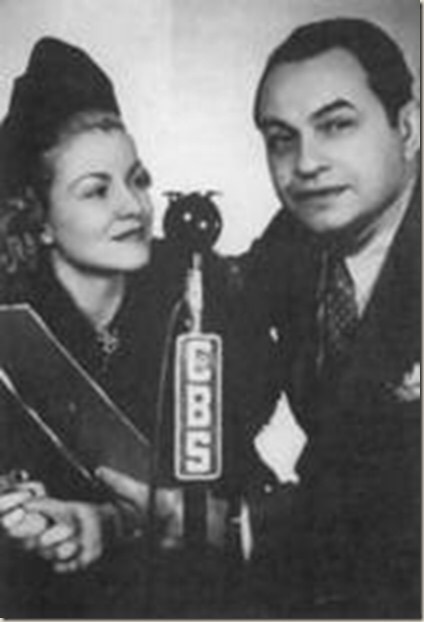 BIG TOWN originated as a radio series in 1937, starring Edward G.Robinson and Claire Trevor as the editor and his star reporter. 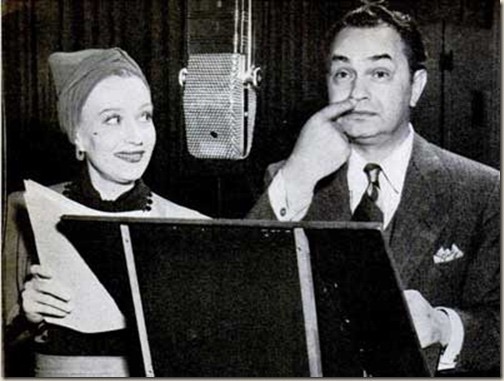 Amazingly, Edward G.made 6 films during the 1937-1938 season of the radio show; and Claire made 10 movies during that period! And they costarred in The Amazing Dr.Clitterhouse (1938). The show was very successful and when Claire left in 1939, Ona Munson replaced her. ( I always confuse Ona’s name with Osa Massen). Ona was Belle Watling in Gone With the Wind and her papers are held at the New York Public Library – another instance of public access being limited to visits to the library in person. When Robinson finally left the show in 1942, the show survived for another 8 years, with two radio actors Edward Pawley and Fran Carlon. i could only find one episode with Edward G. on Archive.org. But you couldn’t kill this show! 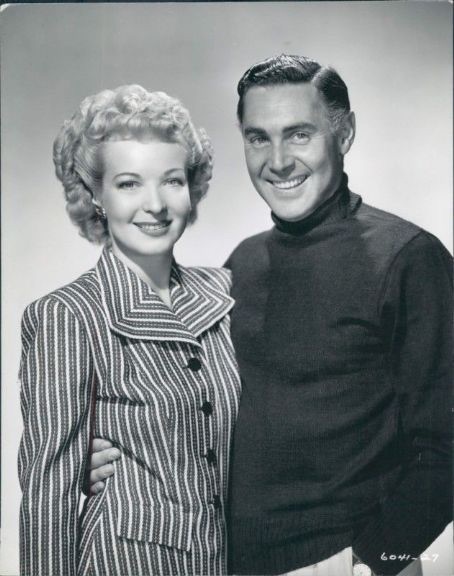 From 1950 to 1956, Big Town became a TV series starring Mark Stevens ( who also directed 40 episodes). 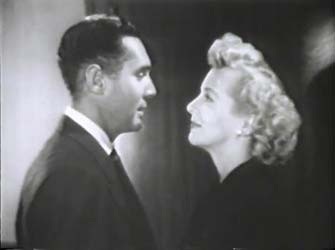 Various actresses including Jane Nigh co-starred. I was surprised to read that Busby Berkeley directed 4 episodes. Lots of good character actors found work in the TV series – Louis Jean Heydt,John Dehner,Steve Brodie,Elisha Cook,Steven Geray,Ted De Corsia. I couldn’t find any episodes to watch. So, quite a history, illustrating again that a successful format can go on and on! Great piece — very useful. Many thanks! Thanks. 4 films in a series I had never heard of. What else is out there! Thanks from me too – a new series to me. I’ll check out the available titles. Thanks for the tip about Big Town Scandal being on the Jimbo Berkey site — I’m off to download it pronto! 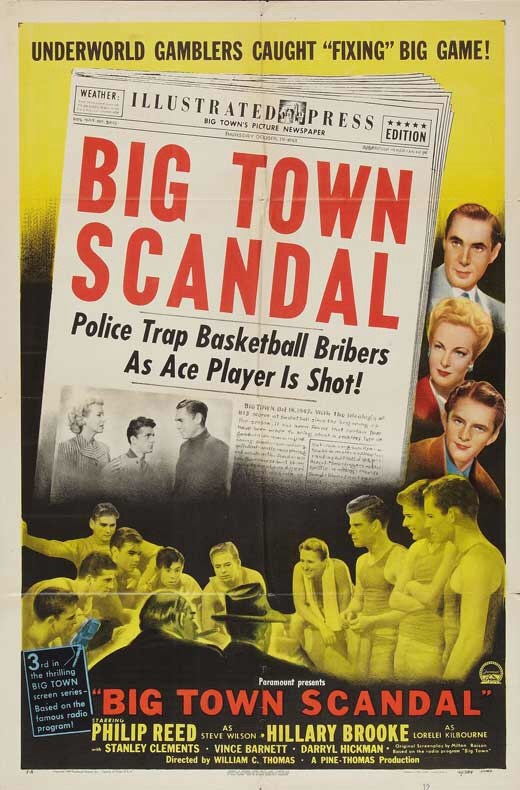 I just watched Big Town Scandal and am afraid it was poor. Wonder if the other two I haven’t seen are any better. Patrick McVey played Steve Wilson for the first four years of Big Town’s television life. 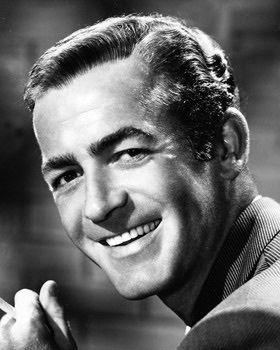 Mark Stevens did the final two seasons.